Two boaters who went missing after setting sail from Catalina Island are safe. The Coast Guard said the pair was spotted Monday about four miles off the coast of Pismo Beach. Zebulon Tryon, 21, and Chris Reuter, 18, set sail from Avalon last Friday. 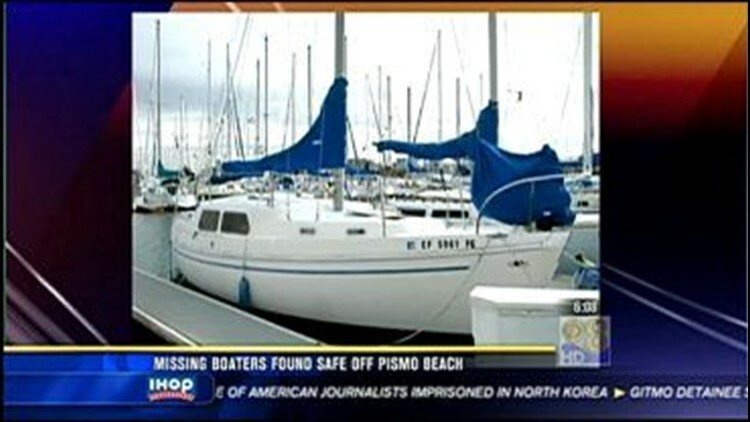 The men were bound for Santa Crus Harbor about a 27-foot sailboat. Tryon's family called the Coast Guard Sunday after losing contact with the men.